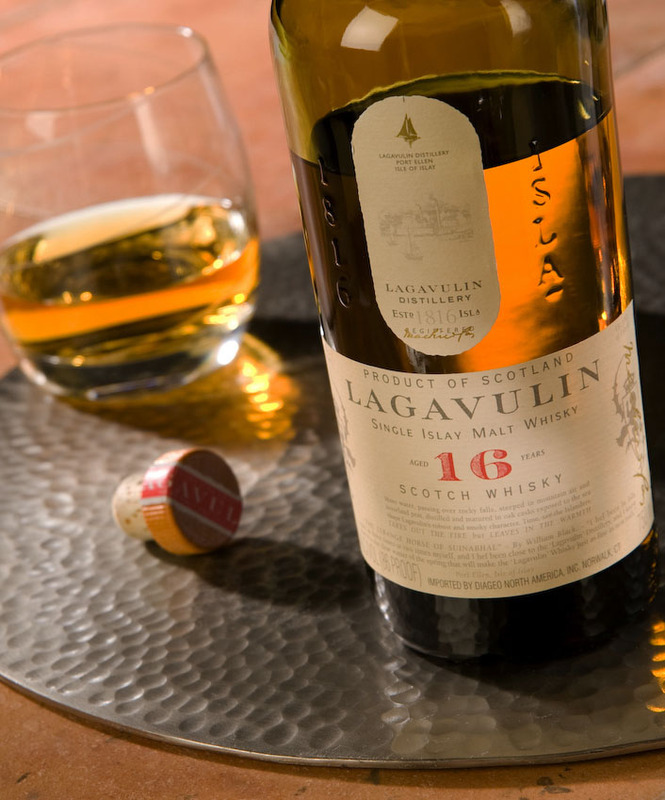 Lagavulin 16… “great balls of fire” said Jerry Lee Lewis, well here is the embodiment of that classic rock tune in a bottle. A generous dose of peat and serious smoky flavors will reward those who enjoy it neat. This whisky is intense and complex with a lingering finish , I found a sea side saltiness underneath the smoke and fire. The folks on Islay take their time nurturing this prize…. it matures and grows stronger for 16 years in oak prior to landing in your bottle. this 86 proof is much smoother than you might expect but is definitely not a beginners malt, my guess is that the Killer himself would be a fan of this power house Scotch, I rate it a smoldering 8.5..Slainte!